In Manchester's vibrant gay village, The New Union offers clean, modern en suite rooms with an LCD TV and free Wi-Fi. There are drink deals, karaoke, cabaret shows and disco nights. The New Union has fun, friendly staff, and guests have 24-hour access to the hotel. 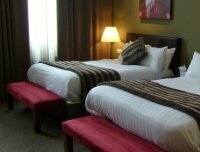 In a very lively, central district, New Union hotel is close to Manchester's bars, shops and restaurants. 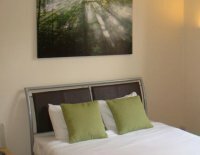 Chorlton St Coach Station and both Manchester Piccadilly and Oxford Road Rail Stations are just a few minutes' walk away. 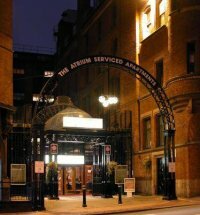 In central Manchester, Atrium by BridgeStreet offer stylish 3-star apartments with spacious living/dining areas. Manchester's Piccadilly and Oxford Road Train Stations are 5 minutes' walk away. The award-winning Atrium by BridgeStreet apartments all have a flat-screen TV, DVD player, Wi-Fi for an extra cost and well-equipped kitchen. A weekly housekeeping service is also provided. Chinatown, the Palace Theatre and main shopping districts are less than 10 minutes' walk away. The Metrolink station is a 5-minute walk from the apartment building. Discounted rates for the NCP car park on Whitworth Street are available at reception. 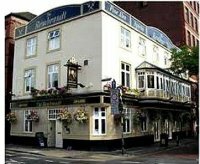 "Ideal location for Gay village"
Just half a mile from Oxford Road Station, REM Hotel is a 10-minute walk from the Arndale Shopping Centre. 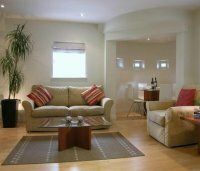 Parking is available nearby, and the Piccadilly Gardens are within a 5-minute walk. Close to Manchester's gay village. Ideal for Gay Pride Weekend. 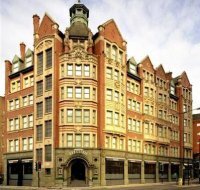 "Very gay friendly"
Set in the heart of Manchester’s vibrant city centre, the grand Palace Hotel offers stylish, modern rooms just a minute’s walk from Oxford Road Rail Station and The Palace Theatre. Furnished with elegant decor, all of the 4-star rooms at The Palace Hotel include TVs with satellite channels, private bathrooms, and in-room safes. Guests at The Palace can also make use of hairdryers and tea/coffee-making facilities. Guests can dine in the chic, stylish surroundings of the Tempus Bar and Restaurant, which serves fine cuisine and seasonal dishes alongside an extensive wine list. 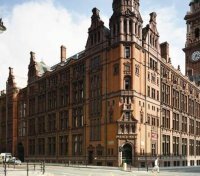 The Palace Hotel is situated on bustling Oxford Road, with Manchester’s huge array of shops within easy walking distance. The MEN Arena is a 20-minute walk, while Old Trafford Stadium is 10 minutes’ drive. Manchester Airport can be reached in 20 minutes’ drive. "Close to Manchester's gay village. Ideal for Gay Pride Weekend"